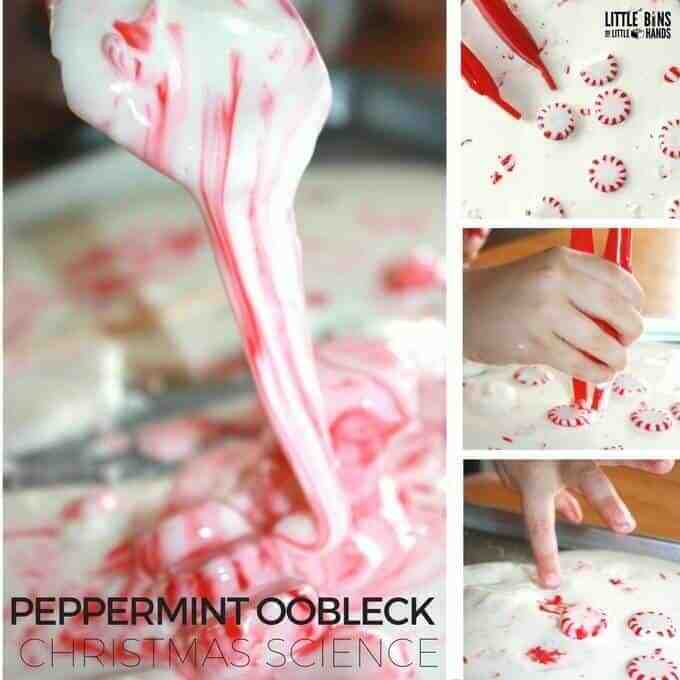 Christmas or Winter is an excellent time of the year to put a little twist on classic science experiments! 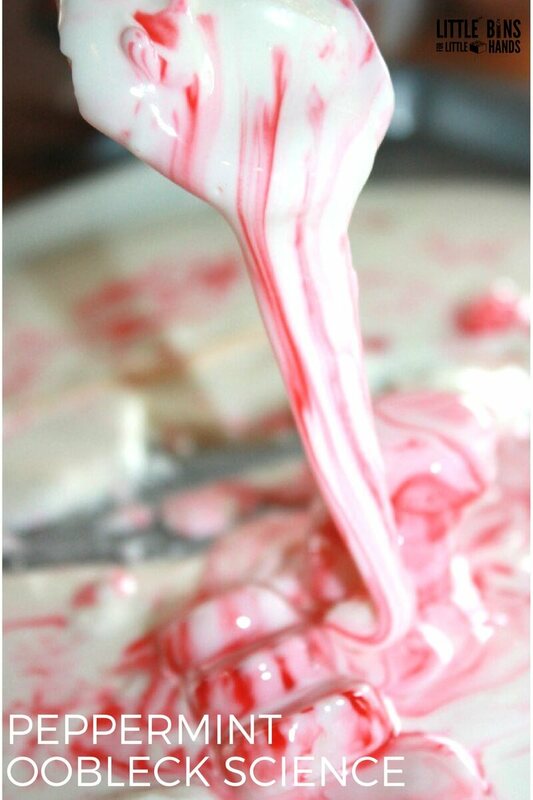 That’s how we decided to try peppermint oobleck! Oobleck is classic science because it shows off the properties of a Non-Newtonian fluid perfectly. Add it to your Christmas science list! 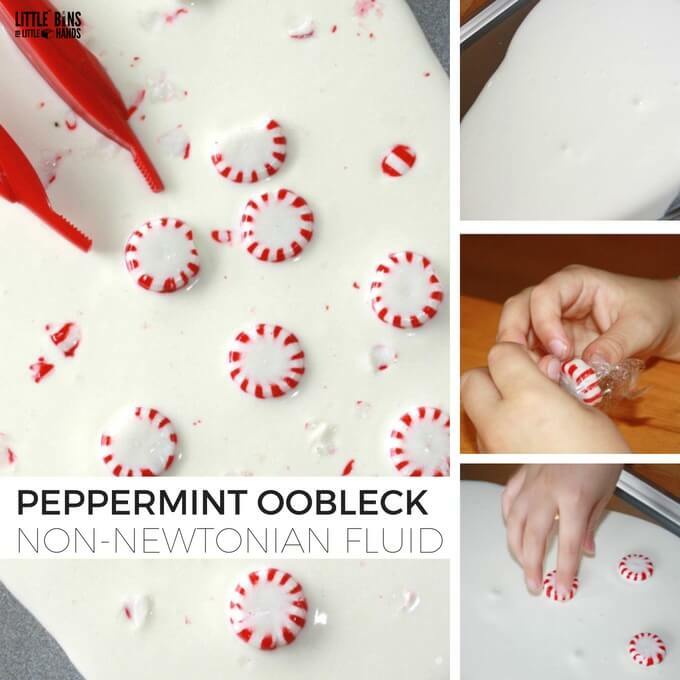 Using candy canes or peppermints for Christmas science is loads of fun and a bit tasty too. 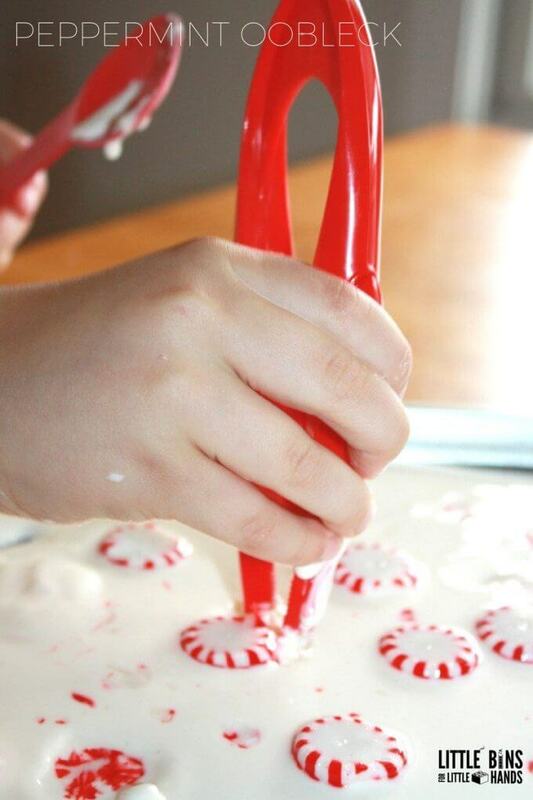 In addition to our peppermint oobleck, we have dissolving peppermints and peppermint salt dough! 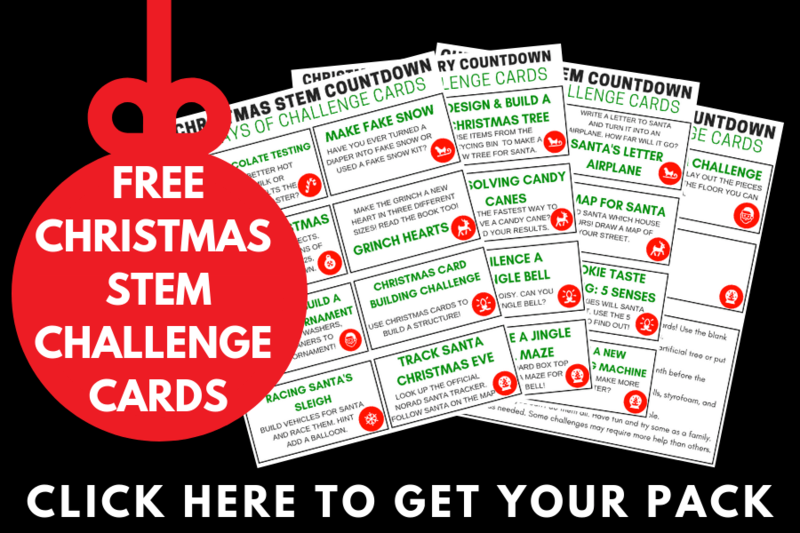 MAKE SURE TO BOOKMARK OUR CHRISTMAS SCIENCE ACTIVITIES! Oobleck is a mixture of cornstarch and water. Roughly a 2:1 ratio but you can tinker with the ratio to find a desired consistency that still maintains the properties of oobleck. Well, it’s a solid. No wait it’s a liquid! Wait, it’s both! Very fascinating to be exact. Pick up solid chunks, pack it into a ball and watch it ooze into a liquid. This is called a non-newtonian liquid, a substance that acts like both a liquid and a solid. Read more here about Non-newtonian fluids here. 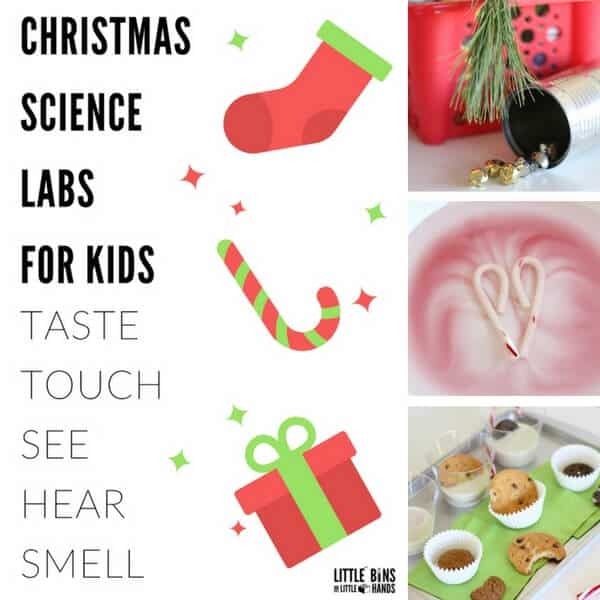 CHECK OUT OUR SANTA SCIENCE LABS TOO! 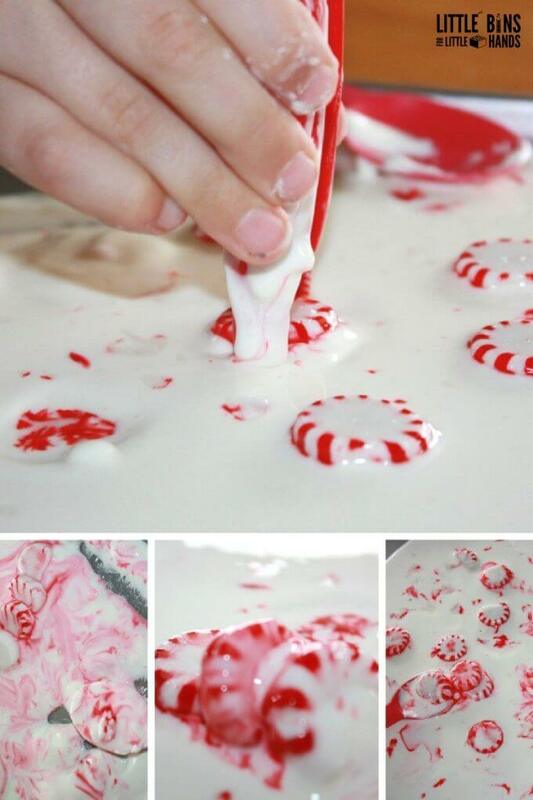 One of the very first things he noticed was peppermints beginning to dissolve in the oobleck. We had just done a Peppermint Water Science Bin . We have also set up a cool candy cane dissolving science experiment too. Because we do quite a bit of repetition, it gives us many opportunities to explore, discover and make observations based on prior experience. He is also becoming very knowledgeable about the properties of oobleck from repeating the experiment over and over! Mix up about a cup of cornstarch and 1/2 cup of water! You can adjust the ratios as needed, but this recipe is a general guideline! You can also make colored oobleck! 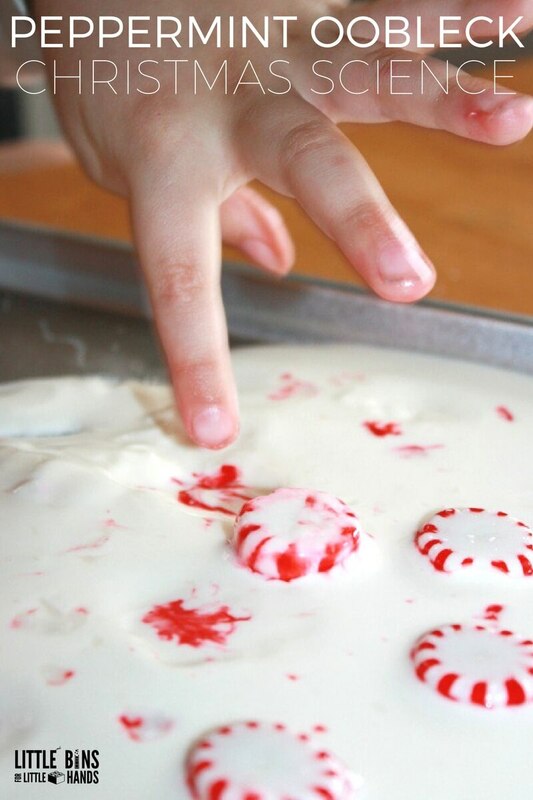 However, the peppermints will give it a pretty color too. Pour and spoon onto a cookie sheet. stick in your goodies (really anything can be used for sticking into the oobleck! ), add a pair of tweezers and play! Plastic animals and LEGO men are fun too. 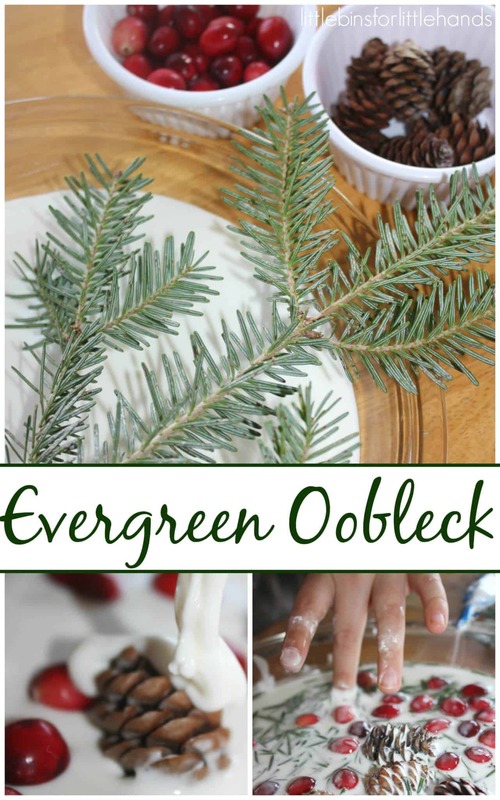 Or use some natural elements like our evergreen oobleck! Grab a pair of kids size tweezers and even the magnifying glass for up close science observation. Tweezers help ease his way into the oobleck and it was fun to pick up the peppermints and see the color each left behind. Also great fine motor practice for this young scientist. I like to encourage him to think like a scientist and really explore our experiments. This can get as messy as you like it! Plus, this peppermint oobleck smells pretty amazing! Scented science is perfect for exploring the 5 senses of the human body. 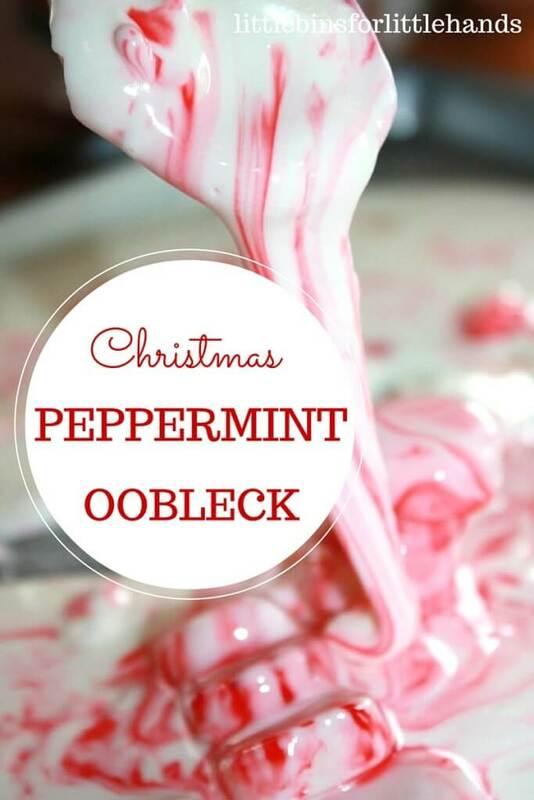 This oobleck is great for sight, touch, smell, and of course you can taste the peppermints. Exploring, mixing, observing, experiencing, playing, and learning are all a part of these kinds of simple science activities. They definitely include a wonderful kind of tactile sensory play for real hands-on learning! Since He noticed the dissolving peppermints right away, I quickly set up a simple science experiment on the side. Our goal was to time how long a peppermint would take to dissolve completely. Have your kids make a guess or estimate a time! We watched your peppermint and checked the time while we played with our oobleck. It dissolved in 1:23:54 to be exact. Science can be simple and easy to do at home. 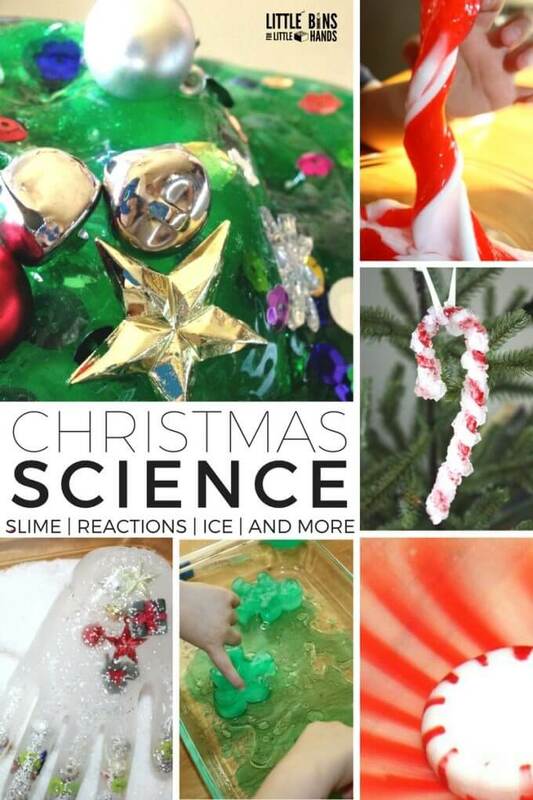 Enjoy the season with Christmas themed science play. 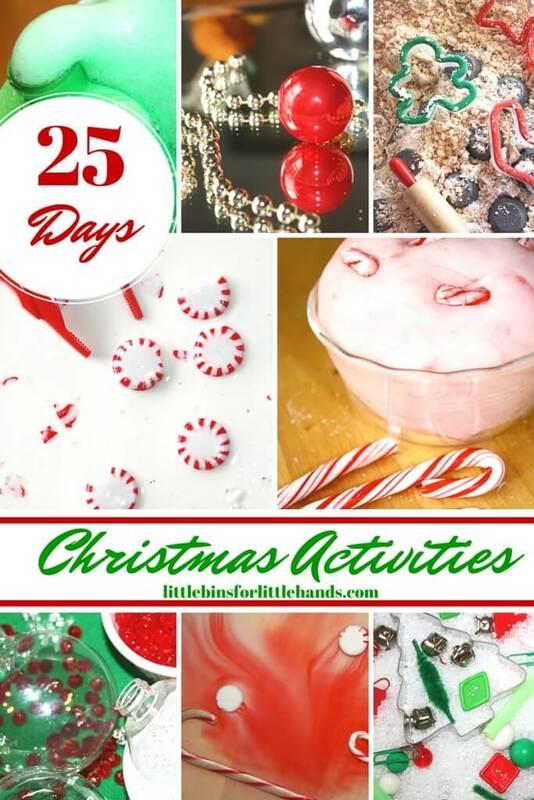 Check out these awesome Christmas sensory play activities! Love love your ideas. Retired now, but enjoy sensory activities with my grands.